From almost 1200 submissions, only ten songs have made the cut. 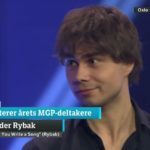 Norway‘s broadcaster NRK has now revealed the ten acts who will be competing in its national final Melodi Grand Prix 2018. The ten acts represent a range of modern styles, but there are more than a few acts who have recent Eurovision experience. 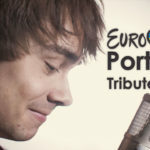 The biggest name is Eurovision 2009 winner Alexander Rybak. He will perform the song “That’s How You Write a Song”. And as his publicity photo suggests, the song involves some violin. Also returning to MGP is Norway’s 2011 act, Stella Mwangi. While her song “Haba Haba” crashed out in 17 place in the semi-final, it still remains a fan favourite and many supporters are rejoicing her return. Stella will perform as part of the duo Stella & Alexandra, performing “You Got Me”. Another Eurovision returnee is Aleksander Walmann, who recently did duty as the vocalist on Jowst’s “Grab the Moment” in Kyiv. Jowst (Joakim With Steen) is also represented as one of the co-writers of Aleksander’s song “Talk to the Hand”. 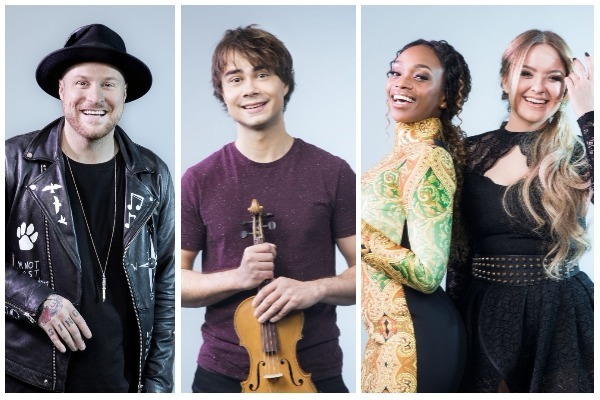 The ten acts will compete at the grand final on Saturday 10 March, to see who will follow in Jowst’s footsteps to represent Norway at Eurovision 2018. The show will be hosted by Kåre Magnus Bergh and Silya Nymoen. Alejandro Fuentes brings some Latino flavour with “Tengo Otra”. And this isn’t just another “Despacito” copy. Alejandro is originally from Chile and wanted the chance to perform in Spanish. After representing Norway at Eurovision 2017 as part of JOWST, Aleksander Walmann returns as a solo artist. His song “Talk to the Hand” is co-written by JOWST mastermind Joakim With Steen. 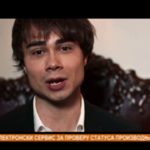 Rybak is back, y’all! 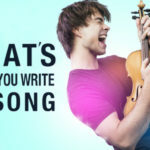 The Eurovision 2009 winner is back with his self-written song about songwriting, “That’s How You Write a Song”. Can he capture the magic that made “Fairytale” such a hit? We don’t know — we’re just happy that he’s back! Upcoming singe Charla K has “Stop the Music”. It’s written by Per Gessle, the Swedish pop maestro who is one half of the internationally successful duo Roxette. Idea Maria is an award-winning singer and songwriter. She was one of the writers behind Ella’s MGP 2017 song “Mama’s Boy”. Nicoline came to fame as a finalist on The Voice of Norway in 2015. She has previous Eurovision experience as a backing singer for both Margaret and Agnete. Rebecca Thorsen is an upcoming singer from Oslo. Her song “Who We Are” is written by Kjetil Mørland, who represented Norway at Eurovision 2015. Stella Mwangi represented Norway at Eurovision 2011, where she performed “Haba Haba”. Stella is singing with Alexandra Rotan on the song “You Got Me”. Tom Hugo previously participated at MGP 2013 with “Det er du”, which did not make it into the grand final. This time Tom is performing his self-written song “I Like I Like I Like”. Written by: Vidar André Mohaugen, Jonas Thomassen, Martin Thomassen. Vidar Villa is one of Norway’s most streamed artists, with his songs streamed 27 million times in 2017. He will perform “Moren din”. What do you think of the MGP 2018 line-up? Who would you like to see represent Norway in Lisbon? Share your thoughts below!